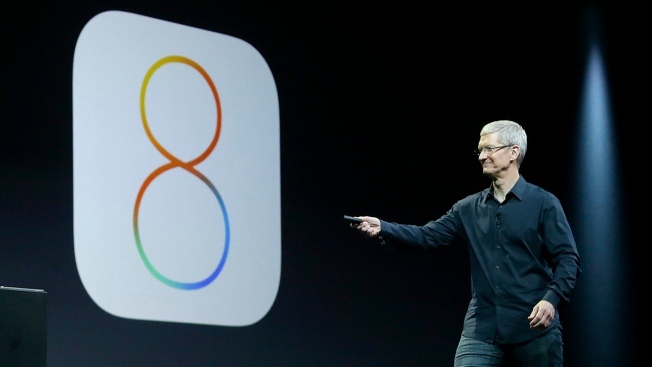 It's been three weeks since Apple launched its iOS 8, and it's now on less than half of Apple devices. The number comes from an Apple App Store page for developers, according to MacRumors. The number has barely increased since Sept. 21 when it was 46 percent, likely because of the number of reported bugs. One update was supposed to fix HealthKit-enabled apps but then disabled cell service and Touch ID functionality on the iPhone 6. Another update, iOS 8.0.2 launched to fix those bugs. However, Apple users still had problems: iCloud Drive documents were deleted, Bluetooth wasn't working correctly, battery drain and slow Wi-Fi speeds. With these problems a possibility, it's unlikely users were eager to start using the new iOS. In late September, Apple made it "impossible" for iOS 8 users to go back to the previous iOS 7.1.2. So users have no option but to deal with the problematic iOS 8, so many aren't opting for it.